- 13.5" 10-point multitouch screen. A stunning screen that responds to your touch. Razor-sharp resolution for photographs, videos, and presentations - on the vibrant 13.5" PixelSense Display with touchscreen. 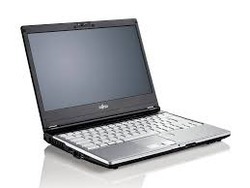 Being a leading firm in this industry, we are deeply engaged in offering a high-quality range of Personal Laptop.